These are ready blends recommended in ancient Ayurveda and Sidhha texts used for prevention or healing, as cosmetics or as supplements. The plant is otherwise known as Vasaka, distributed all over the plains of India and in the lower Himalayan ranges. 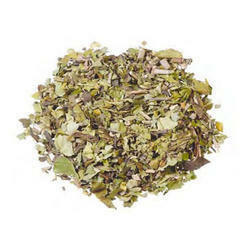 It has long and broad leaves, light green in color having characteristic odour and bitter taste. Active principles are extracted from the leaves. Owing to the rich industrial experience and expertise in this business, we are engaged in providing Adhatoda Vasica Herb. we are eminent Exporter, Distributor, Supplier and Trading Company of Adhatoda Vasica in Tuticorin, Tamil Nadu, India. We are a unique name in the industry, devoted towards manufacturing and trading the best quality range of Ardusi Adhatoda Vasica. 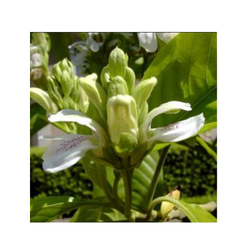 Adhatoda Vasica is helpful in Anti-asthmatic and bronchodilatory activity, Anti-bacterial activity, Anti-tubercular activity, Cholagouge activity, Wound-healing activity, Anti-dyspepsia activity , Uterotonic and abortifacient activity. Our group's sound infrastructural set up and large resources help us strengthen our quality of Adhatoda Vasica and ensure on time delivery .